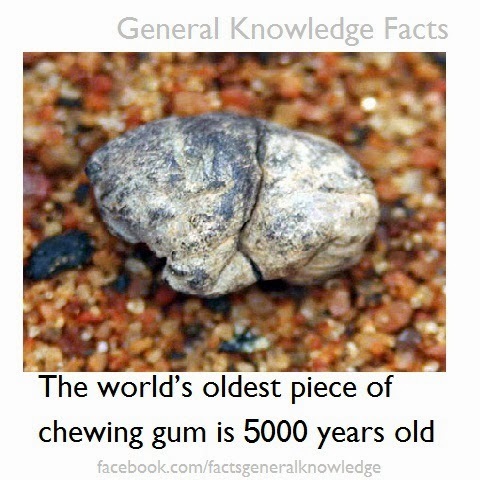 The worlds oldest piece of chewing gum is 5000 years old .The chewing gum was found out by a British archaeology student Sarah Pickin from the University of Derby.The chewing gum dates back to 5000 neolithic times.According to experts neolithic people might have used it to heal mouth infections. The piece was discovered from western Finland.A lump of birch tar it contained well defined tooth imprints . The gum is on display at the centre in Finland. sounds good, 5000 years !! !